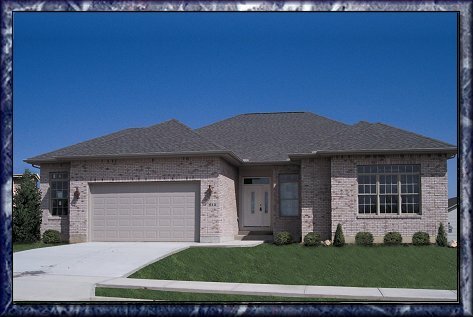 Model Home 3 Bedroom - 2 1/2 Baths - 2 Car Garage Hunter's Ridge Subdivision is a planned residential community within walking distance of downtown Tipp City, Ohio. Within this community are Richard J. Mosier Builders, Inc.'s patio homes consisting of 23 building lots. Tipp City is a beautiful city known for its great schools, low utility costs, controlled growth and easy access to I-75. Besides the great location, Mosier Builders, Inc. homes contain all the best products and features possible. Each room is thought out as to how it will best suit its future owners. The bedrooms have spacious closets complete with shelving. The kitchens have functional floor plans with high- quality appliances. Some of the plans include bathrooms that contain glass block showers and whirlpool bathtubs. And not to be left out, are the living and dining rooms that have airy, open floor plans. Walk-out basement lots and Zero lot line homes. Four models available or build to your floor plan. At Mosier Builders, Inc. we want our clients to know they are receiving the best of everything. As we are a small, personalized company, we can pay close attention to client's every need and want while never compromising convenience and accessibility to our team members. It is our mission to build the homes our clientele have always dreamed of.